Use your Old Smartphone into Home Security Camera you can log into from anywhere. How to turn your old device into security camera (iPhone and Android)? Got an Old smartphone looking to throw it but wait for a minute why not to put it to a good use by transforming it into a security camera? You do not need to worry and it doesn’t require to root your device or any coding. You just need App to handle it. 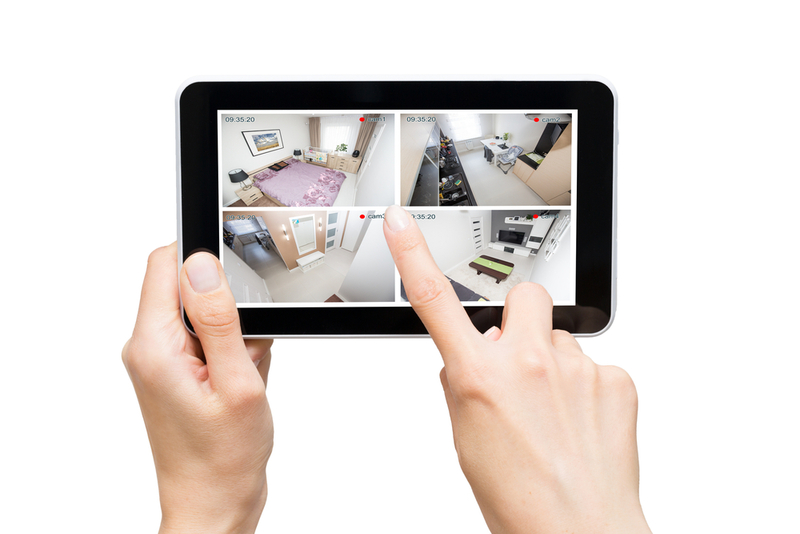 There are a number of reasons why you might want a security camera in the house, to set up a simple CCTV (closed circuit television) monitoring your home, or office. Installing specialized CCTV equipment is pretty expensive though, and not something most people can do by themselves. But using an old phone is a cheap alternative that’s also easy. All you need is an old smartphone or tablet, and the right software. There are quite a few apps out there that can do this for you, but the two names that keep coming up are SalientEye Home Security Alarm and Alfred. SalientEye is best because there’s a remote control app available that allows you to stop and start recording, get push notifications, and even see what the camera is seeing. Manything is an application which turns your old iOS device into the security camera. With Manything, you can set up motion alerts, choose between a video or stills-only mode, and even integrate with IFTTT for virtually endless ways to configure your security camera. Step 1: Download Manything from App Store. Step 2: From the old phone, open Settings and disable Auto Lock under General. Step 3 Register or sign in to Manything using an email address or Facebook account. Step 4: Select Camera mode with the old iOS device and Viewer mode for the new device. Step 5: Press the red button from the camera device to start the live stream. Step 6: From the new phone, the live stream will appear in the list of streaming devices. Alternatively, you can view the stream from a computer by signing in at manything.com. SalientEye allows you to stop and start recording, get push notifications, and even see what the camera is seeing. Step 1: Download SalientEye App from Google Play Store and install It. Step 2: Do the initial set up and no need to worry about the password the camera is password protected. Step 3) The app supports motion sensing, so it will only start recording when something in the camera’s field of view changes. Step 4) The photos are also stored online so you can go through them later. You will get notifications via Email or SMS. Step 5) SalientEye is free for 7 Days after that you can select the buy option as per your requirement. While the battery can provide up to 10 hours of usage, adding a power cord makes it a good 24/7 solution. Remove any phone cases so your device doesn’t overheat. If you want a wider coverage, fit a fisheye lens over the camera. You can buy it from Amazon. You don’t need to spend money on expensive phone mounts you can use plasticine or Blu Tack to hold it up or keep it pointing in the right direction. So this is how you can turn your old phone into a security camera.